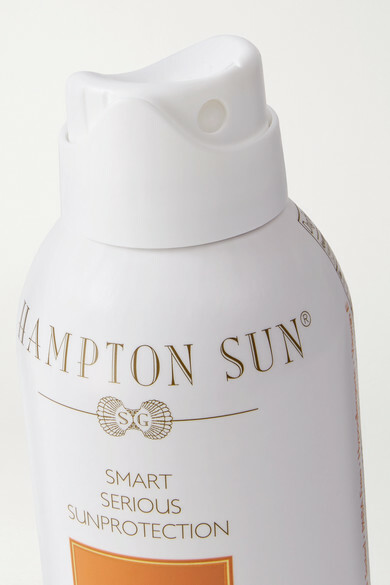 What we love most about Hampton Sun's SPF30 continuous mist is how great it feels on the skin. Enriched with nourishing Aloe Vera and Vitamin E, this oil-free formula has a silky smooth texture and is formulated with advanced technology to protect against harmful UVA rays. It's also water-resistant up to 80 minutes.